When discussing the story of a film, people often examine either the writer’s or director’s contribution to the work, but more often than not, the story of the film finds its pacing, structure, and rhythm from the editor. Martin Scorsese, as a director, has made arguably the greatest contribution to film over the last 40 years through films such as Raging Bull, Good Fellas, The Aviator, The Departed, and most recently The Wolf of Wall Street. However, Thelma Schoonmaker, the editor for these and 8 other Scorsese films, is largely responsible for the success of these films. In fact, Scorsese refers to Schoonmaker not as his editor, but as his greatest collaborator. The result of this collaboration has resulted in Schoonmaker receiving 7 Oscar nominations for best editing, and a record 3 wins. The reason why Shoonmaker has been so successful at her craft is because of the unorthodox approach that she takes with film editing. Before Schoonmaker, most editors sought to maintain the director’s vision while editing, but Schoonmaker does not do this, and is more focused on making the best film. By taking this approach, she has changed the filmmaking landscape by altering the amount of power the editor has in terms of creativity. In addition, Schoonmaker does not bind herself to strictly maintaining realism through continuity. She would rather cut back and forth between different takes to get the best of each actor’s performances than make sure a spoon on a table is in the correct position in the final product. Directors are important to film because they are the ones who decide how a film should look, sound, and feel. In order to translate their vision on to the big screen, they must supervise every department, from development through post-production, to make sure each department is ultimately supporting his vision. During this process, the heads of the department (usually) do not attempt to alter the director’s vision, and do whatever the director asks, even if it sounds impractical. Francis Ford Coppola describes the film director as being the last true form of dictatorship left on Earth. The question is whether or not this process creates the best possible final product. Thelma Schoonmaker would argue that if you want to produce the best possible film from your footage, you must edit collaboratively. This is why, when Schoonmaker edits, she does not just review notes Scorsese has given her about how to execute his vision, but instead brings him into the editing room with her to discuss each frame of the film and make arguments about creative choices. In fact, Schoonmaker has said on several occasions that she does not read the script for the film when she edits because she wants to be able to see each scene through her own vision, and not try to accommodate whatever the writer and director felt was necessary. While most directors would let their egos take over and never allow someone to completely alter their vision, Scorsese understands that sometimes he needs his ideas cleaned up and polished by outside forces. Through Shoonmaker’s collaborative approach to film editing, she has effectively changed the role of the editor. Since the release of her and Scorsese’s first major collaboration Raging Bull in 1980, which AFI regards as the top sports film of all time, the editor’s role in filmmaking has been elevated to new heights as more and more directors have given freedom to their editors to improve their films in the way Schoonmaker has been able to do for Scorsese. The idea of taking away creative power from a director was unheard of during the decades leading up to 1980, just as the concept of the auteur film was at its peak. However, because of Schoonmaker’s desire to put forth the best film, she has created a place in which the director’s vision can be openly critiqued and perfected. While Schoonmaker has definitely altered the role of the editor, she also has been able to create memorable moments in films by breaking on of the cardinal sins of editing. Since the Classical Hollywood era in the 1920’s, filmmakers subscribed to the idea that the editor should follow an editing style, called invisible editing. The basic idea of invisible editing was that the audience should not be aware that shots are changing, because the transition from shot to shot should be so smooth that it blends together and does not take the audience out of the story. In fact, editing was considered excellent if no one discussed it after the film. One of the key techniques used to achieve invisible editing is maintaining continuity through the duration of a scene. Continuity involves making sure that the placement of items or position of people remains consistent throughout a scene. While at face value this does not seem like a difficult task, on set, a single shot can take several takes to get correct, and since everyone is focused on their part, people do not pay attention to small details, such as what hand an actor was holding a cup in for the previous shot, or whether their hand was clenched or open on the table. In theory, the editor is supposed to figure out a way to weave together shots to erase or minimize these errors, because every time the audience picks up on a continuity error, it removes them from the story. Schoonmaker contradicts this notion; instead of focusing her efforts on removing continuity errors, she argues that no matter how hard you try, you will never remove all of the continuity errors. She reasons that if you concentrate your efforts on weaving together each of the actors’ best takes, the errors will not matter, since the audience will be too focused on the story to notice or care. Ultimately, even though Schoonmaker was challenging a long held belief in film, she was correct. 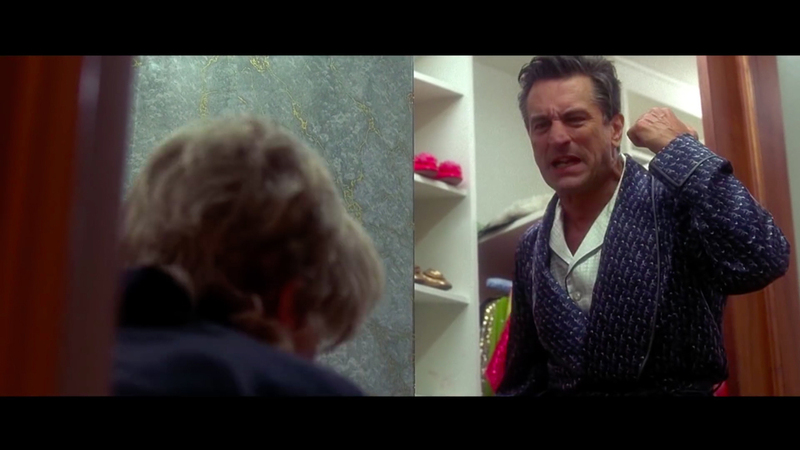 The style that Schoonmaker uses allows every actor in the film she edits to shine. In total, the films she has edited have received 15 acting nominations from the Academy Awards, because this style of editing compliments acting so well. In conclusion, Thelma Schoonmaker may very well be the most influential figure in film editing history. Throughout the course of her career, she has defied long held beliefs, and has given a loud voice to what was once an invisible position in film. The approach that she takes to editing has not only set new heights for the editing world, but has also raised the bar for acting as her style carefully brings out the best performance of every actor that she works with. Most importantly, Schoonmaker reminds us that film as an art form is still developing, and maybe not every norm that we attach to filmmaking is beneficial to follow. Thank you for visiting Celluloid Cinema. Please leave your comments below.